Mary, the ninth child of Dan and Elizabeth Phelps Huntington, was born on April 18, 1815, in Middletown, Connecticut, but during her first year, the family moved to her mother's family home at "Forty Acres" in Hadley. 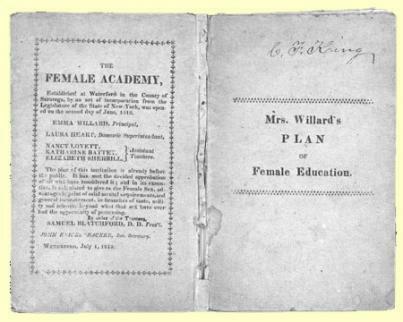 From 1831 to 1833, she attended Miss Emma Willard's School in Troy, New York, along with several of her sisters. In 1834-35, Mary Huntington was living in Oswego, New York. She died on October 14, 1839, at only 24 years of age. Her death was an enormous blow to the family, mourned and remembered in many Huntington family letters.